Scottish four-piece, Indigo Velvet, are set to unveil another slice of vibrant tropical indie-pop through the stirring new single Nineteen, out on 7th December 2018 via IV Records. 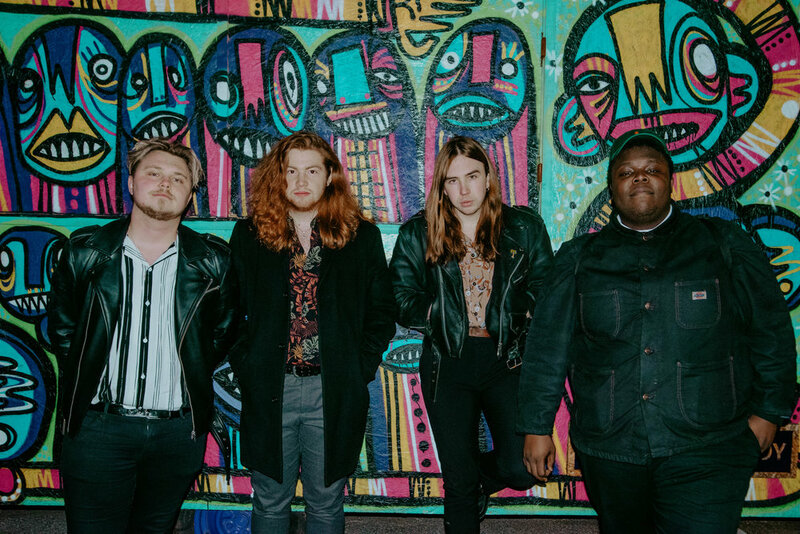 Off the back of a magnificent 2018 where the band performed in front of 13,000 adoring fans at Glasgow’s SSE Hydro, Indigo Velvet are aiming to finish the year in style. Creating an unmistakably effervescent and danceable brand of indie-pop, Nineteen finds Indigo Velvet at the top of their game. Opening with shimmering samples, Nineteen perfectly captures the sparkling dual harmonies of Darren Barclay (lead vocals, guitar) and Jason Tucker (backing vocals, guitar), blended neatly by an impressively hypnotic rhythm section and soaring guitar segments. Billy McMahon (drums) and Laurie Adams (bass) complete a line-up that has clocked up over 1 million Spotify streams as well as picking up support from the likes of Clash Magazine, The Skinny, Record Of The Day, The Scotsman, BBC Introducing, Radio X and Amazing Radio. With support slots performing alongside artists such as Lewis Capaldi, Marsicans, Fickle Friends, The LaFontaines, Idlewild, Honeyblood and Sacred Paws, it’s easy to see why Indigo Velvet have been marked out as ‘ones to watch’ by the music industry’s leading publications. Now, with Nineteen about to drop in December, consecutive single releases scheduled for early 2019 and a European tour in the works, Indigo Velvet are determined to make 2019 their own. Nineteen by Indigo Velvet is out on 7th December 2018 via IV Records.